This procedure is valid for a transmission ratio RT < 2:1, so forward angle can't be twice as backward angle. Move the points O4 or J to change parameters like crank radius or rocker angle. 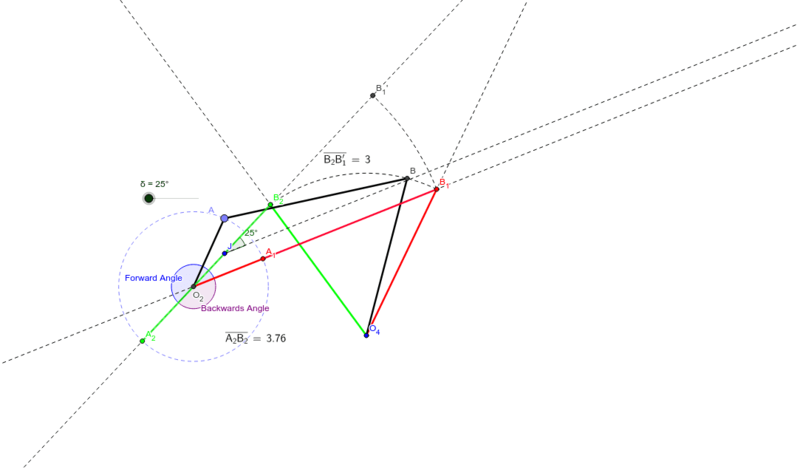 Use the slider to change the δ angle. Move the point A to see the limit positions (Green and Red positions).